Planning is an essential business activity, but usually falls short of expectations. There are several reasons for this, but most lie not in the plan but the execution. Alas, in many cases more attention is given to formulating the plan than to ensuring it is carried out. This results in many plans essentially recycling unfinished action steps from previous plans. For this post, I'm going to address one aspect of plan implementation that perhaps you've never considered. In the typical plan, action steps are identified for the purpose of achieving specific goals or solving particular problems. It outlines what the company thinks will enable them to succeed. I believe it was Stephen Covey who first gave me the analogy of change being like a rocket launch. 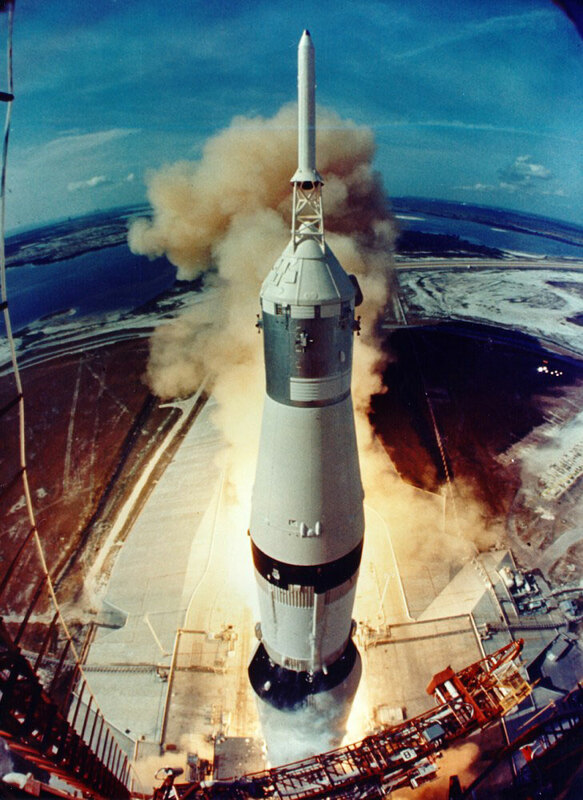 The Apollo spaceship, for example, consumed 99% of its fuel just to escape the earth's gravity. The rest of the 4.5-million-mile flight required only the remaining 1%. That's much like overcoming the initial resistance to corporate change. Most of the effort involves escaping the "gravitational pull" of entrenched habits and norms. Thus I coined the terms "elevators" and "gravitators." Elevators, like the thrust of the rocket engine, are those factors (including planned actions) that facilitate forward movement. Gravitators are those factors that hold us back. NASA engineers had no choice but to deal with the full brunt of gravity. But firm leaders can usually take steps to reduce the gravitational pull of the status quo. Once you've identified your action steps, ask, "What will keep us from doing this?" In other words, what are the gravitators? Some of the common ones include: lack of buy-in, too busy, inadequate leadership, no accountability, fear of change, poor cultural fit, conflicting policies and procedures, insufficient skills. When your list is compiled, identify the 3-5 gravitators that are most likely to subvert your plans. Determine how to eliminate or mitigate the biggest gravitators. Prioritizing these actions should balance importance (which have the greatest impact?) and implementability (what interventions are most feasible?). You won't be able to remove all your gravitators, but you can substantially reduce them when you give them adequate attention. Don't forget to leverage your elevators. There are undoubtedly factors that can facilitate your carrying out the prescribed actions in your plan. You want to fully take advantage of them. For example, use available news, research, and data to help create a sense of urgency. Feedback from clients often carries more weight than management mandates. Putting people in the right roles, based on their capability and enthusiasm, is also important. Bottom line, don't just focus on what you need or want to do. Also address why you won't do it.